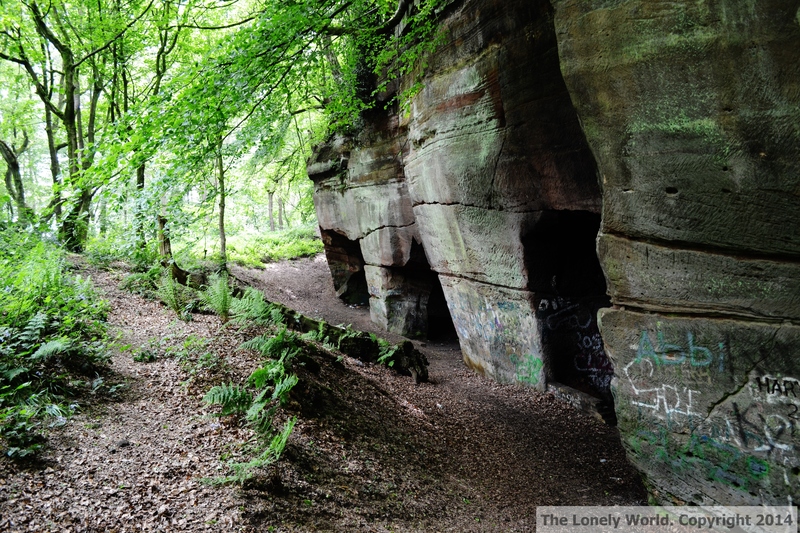 Beech Caves, Staffordshire. 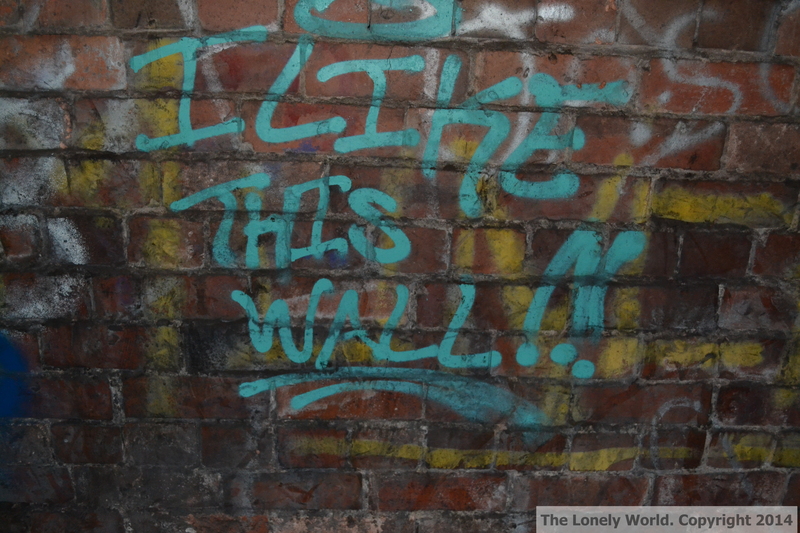 – Lonely World Photography. Beech Caves have been on our hit list for a while now and seen as we only live down the road from them it would of rude not to go and pay them a visit. I was shooting with the Fuji Film finepix S, while M was using our Nikon D3100 with the standard lens. 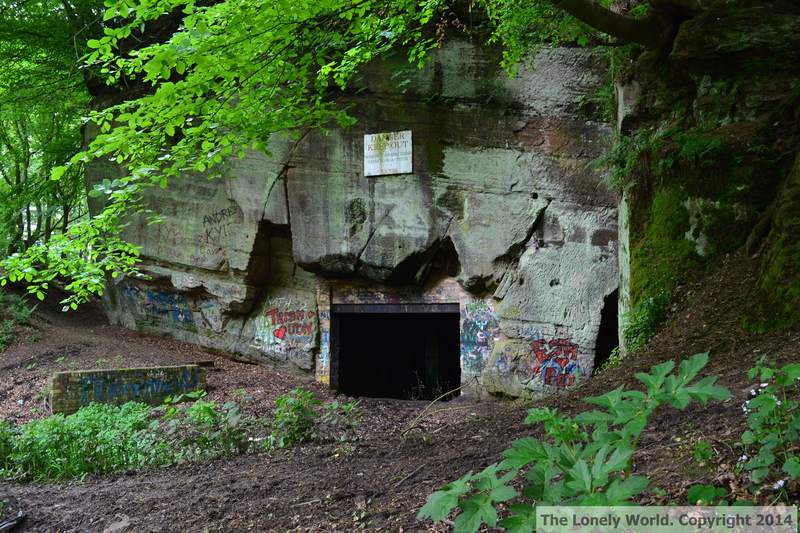 Beech caves are man made caves nestled in the heart of Staffordshire woodlands. 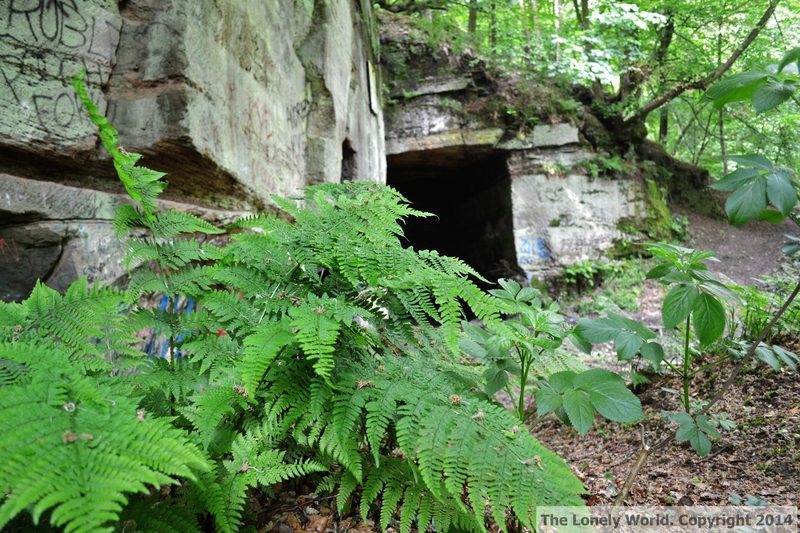 Originally used for quarrying sandstone for building material they are rumoured to have also been used as a bomb store for The Royal Ordinance Factory at Swynnerton during WW2. 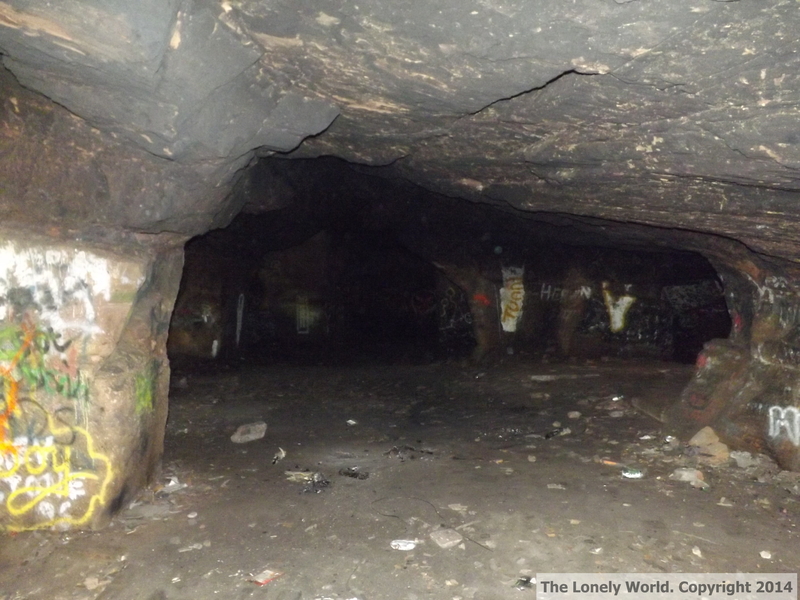 Now strewn with litter and covered in graffiti the caves are a notorious spot for illegal raves and other undesirable nocturnal goings on, rumour has it that the land owner and council are trying to have them filled in to prevent such further activities from taking place. 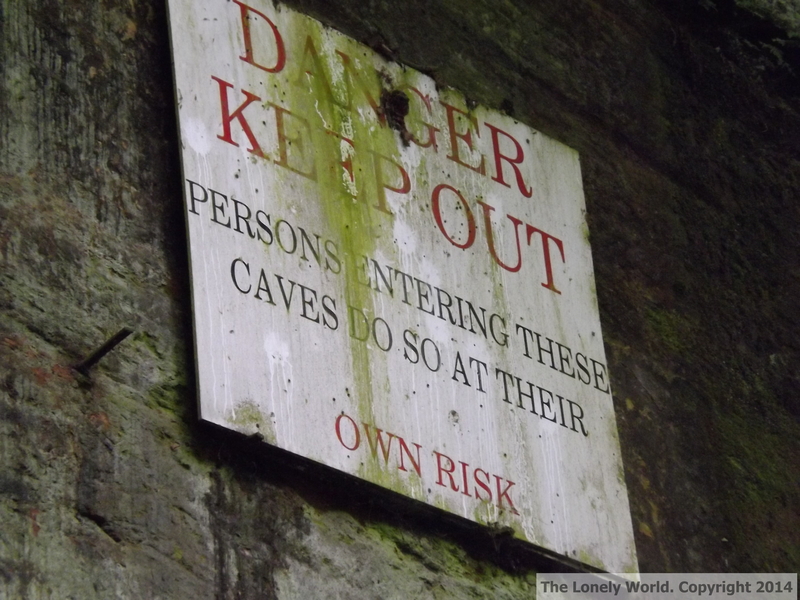 This reassuring sign looms over the entrance but all seems good and after spending nearly an hour trying to find the caves and a scenic trek through the woods we chance it and go inside. This is one of M’s photos shooting with the Nikon, he was trying to get as much of the caves into the frame as possible to give a sense of the size and scale. 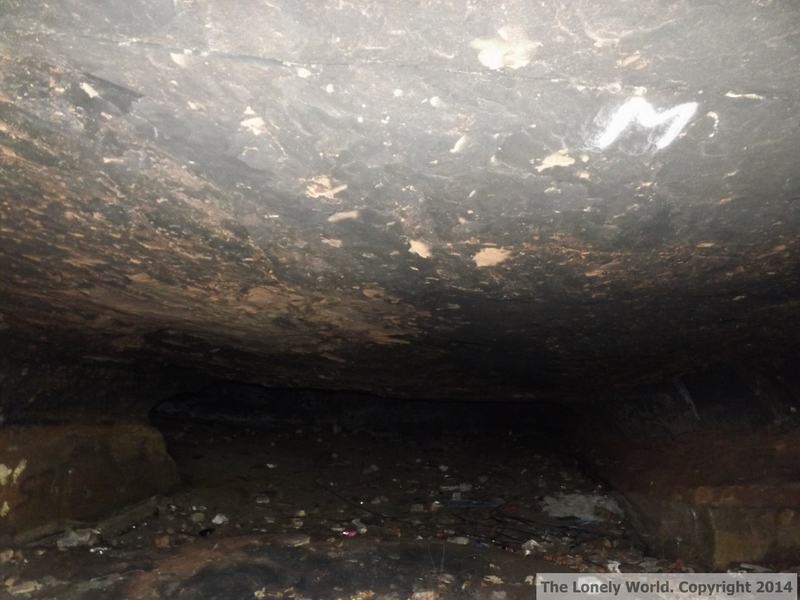 As we ventured inside the marks of graffiti artists past and present covered every wall and with the huge stone ceilings looming down on us it was seriously eyrie and touch claustrophobic. The caves continued quite far back although a few small side entrances provide some gratefully received light giving us the opportunity to explore further into the caves depths. The caves were quite dark and M’s flash on the Nikon was a bit more powerful than mine on the Fuji although we both took a lot of similar shots I’ve used these two to give a feeling of how low and imposing the ceilings were. Some very original and creative art work here. 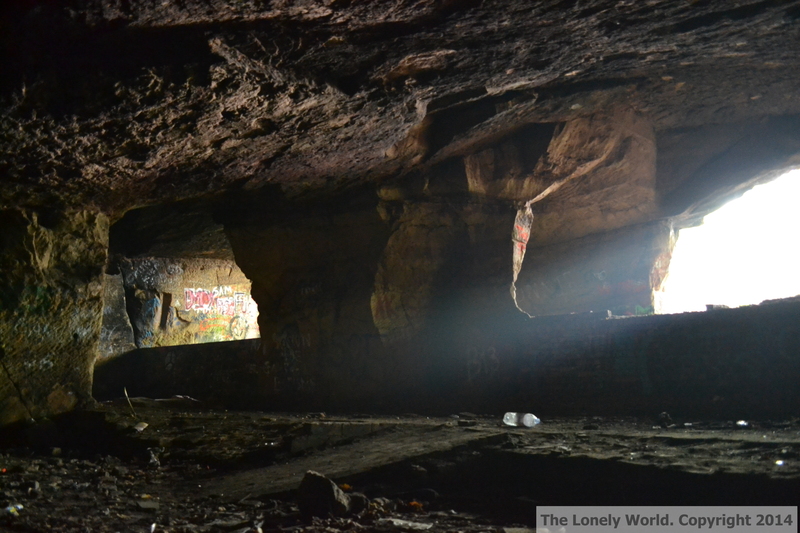 These shots were taken from the side view of the caves exposing the alternate entrances and featuring a lot of the natural woodland that the caves are situated in. The bottom shot was taken at ground level to show all natural aspects of the environment with the fern in focus and a slight blur to the caves in the back drop. Finally this is one of my photos with the Fuji, I tried to get a good focus on the flowers but still manage to catch some of the vandalism in the background of the frame. 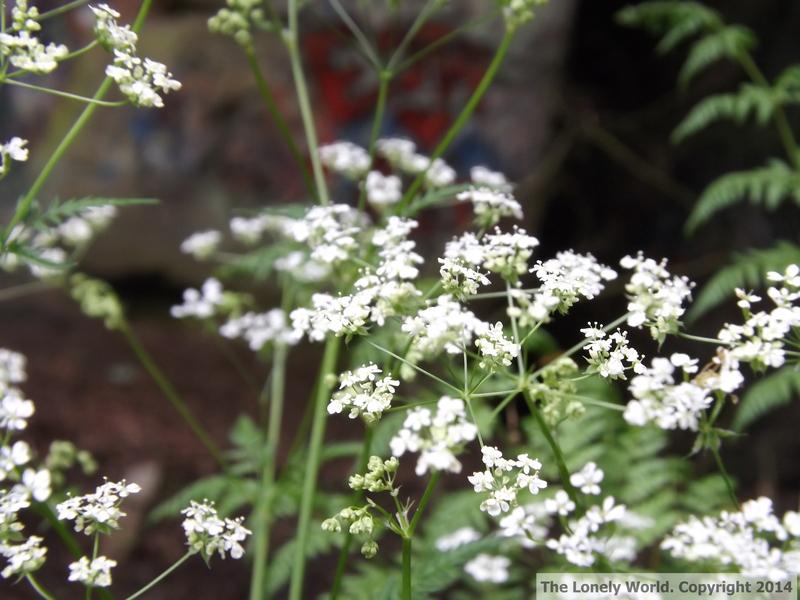 I liked the contrast between the two environments with the natural white flowers set against the harsh graffiti and tried to capture this in the shot. < York Minster, North Yorkshire. Even if they are not natural, it seems a really silly solution to full such a phenoimenon in. Surely creatures such as bats have taken residence? 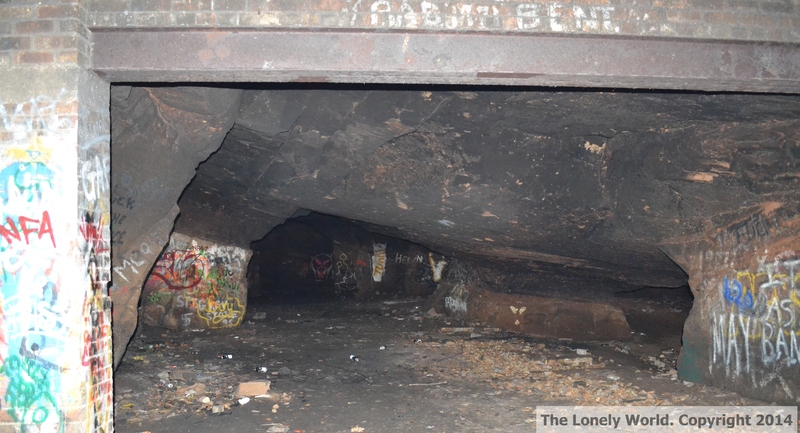 Why do human slugs have to creep their way in to such places? One wishes there was an equivalent of salt to put on them. They are massively fascinating just the sheer scale of them however they have unfortunately been completely trashed and vandalised over the years . I imagine filling them in would stop the groups of teenagers hanging out there and causing trouble its a shame a few people spoil things for the rest.